Stuart was ordained and inducted as our minister on the 27th October 2016. This is his first charge. Stuart is originally from Hamilton. He began his journey into ministry at just 4 years old, when he supposedly said, “I either want to be a church minister or the Prime Minister when I grow up!”. Stuart studied for 4 years at the International Christian College, and a further 2 years at New College in Edinburgh. 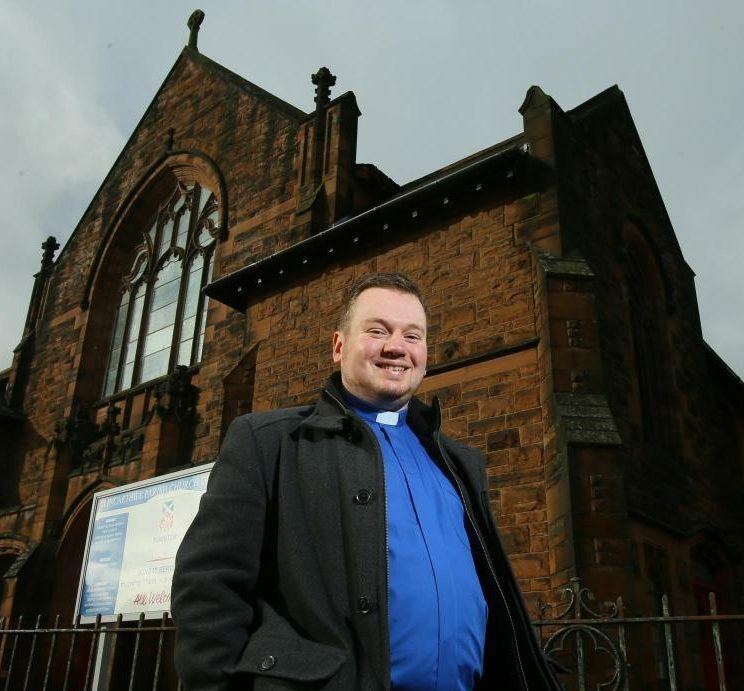 He has worked in a variety of different places, including Cranhill Parish Church in Glasgow, as a Chaplain in HMYOI Polmont, and most recently as the Assistant Minister in Dalziel St. Andrew’s Parish Church in Motherwell. You can also follow Stuart on Twitter, or read his Blog. Every congregation has a Kirk Session and every Kirk Session must appoint a Session Clerk. It is an important role within the congregation. The formal part of a Session Clerk’s ‘job’ is focused on the Kirk Session meeting – assisting the minister in drawing up the agenda, ensuring that the meeting is called properly, taking the minute of the meeting and following up any correspondence required. It is not, however, limited to these things. As the gifts of each Session Clerk are different, the things they choose to do will be different. Made up of the Minister, Session Clerk, and elected Elders, the Kirk Session is responsible for overseeing and governing Clincarthill Parish Church. The main responsibility of the Kirk Session is to ensure the Gospel of Jesus Christ is at the centre of all church life. Together, the Minister and Elders discuss and implement our vision, mission and ministry to the parish. The Kirk Session also exercises something called “oversight”. This simply means that, although the main focus is vision and ministry, the Elders are responsible for making sure things are well in every area of church life.